Home Madison Messenger Fun at the carnival! April is designated as National Child Abuse Prevention Month by The Children’s Bureau, part of the U.S. Department of Health and Human Services. 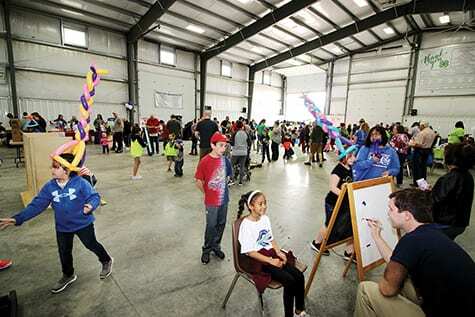 In recognition of this, Madison County Children’s Services held its 6th Annual Child Abuse Prevention Carnival April 12 in the Coughlin Community Center and Eby Youth Center at the Madison County Fairgrounds, London. Nearly 20 wellness and mental health organizations came together to put on the carnival as a way to raise awareness about child abuse prevention and to educate community members on the many services available in times of crisis. Children and their families enjoyed a wide array of fun activities. A large crowd enjoys activities at the carnival. Among the attractions were wearable balloon art, caricatures by Jonathan Mullins of London, and toe-tapping rhythms provided by D.J. Donovan Cooper. Robyn Scott and her 5-year-old daughter, Charlee Daily, sign up for a chance to win prizes, including an Amazon Fire 7 tablet and a new bicycle. Manning the sign-up table is Madison County Commissioner David Hunter. 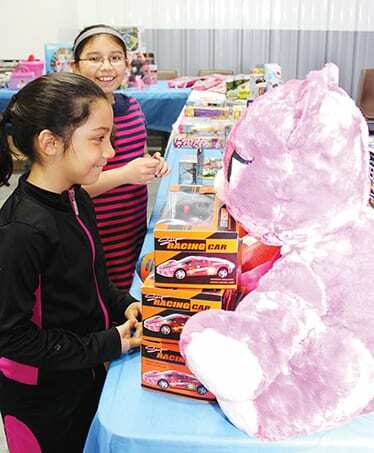 Cecilia Eichorn, 8, (foreground) and her 10-year-old sister, Rachel, of Plain City check out the prize table. 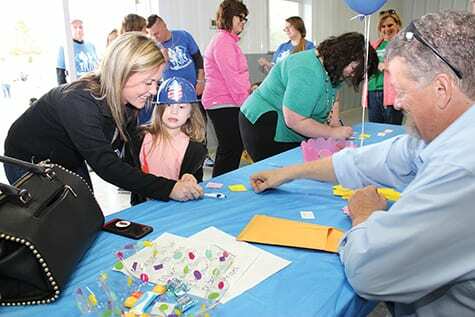 A combination of more than 30 area individuals, organizations and businesses donated prizes and treats for the carnival, as well as hosted games and activities. 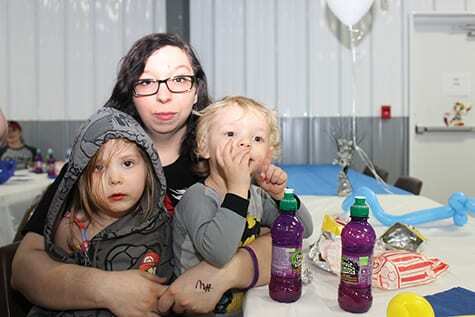 Kristi Blair and her 3-year-old daughter, Kaley, and 2-year-old son, Aaron, of London take a break at the carnival to enjoy some refreshments. 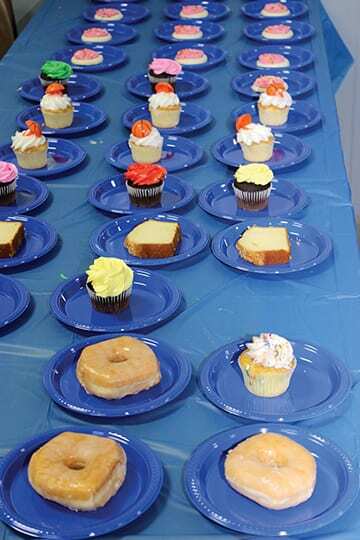 Sweet treats await the many visitors to this year’s Child Abuse Prevention Carnival.